Devotees of Lord Jagannath have thronged the Jagannath Mandir in Puri for the annual Jagannath Rath Yatra today! The Rath Yatra is celebrated today in the city of Puri in Odisha. 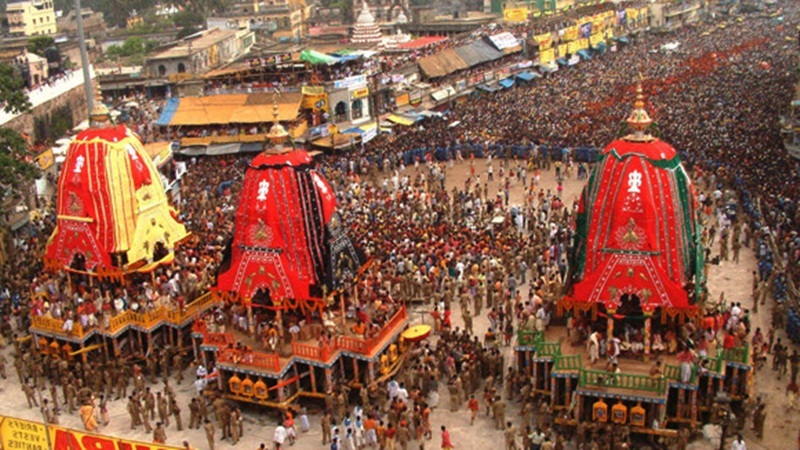 Lakhs of devotees have reached the visit to the temple town to witness the grand chariot festival. The mega festival marks the journey of Lord Jagannath, Lord Balabhadra and Goddess Subhadra from their abode in Puri’s Jagannath Temple to Gundicha Temple. 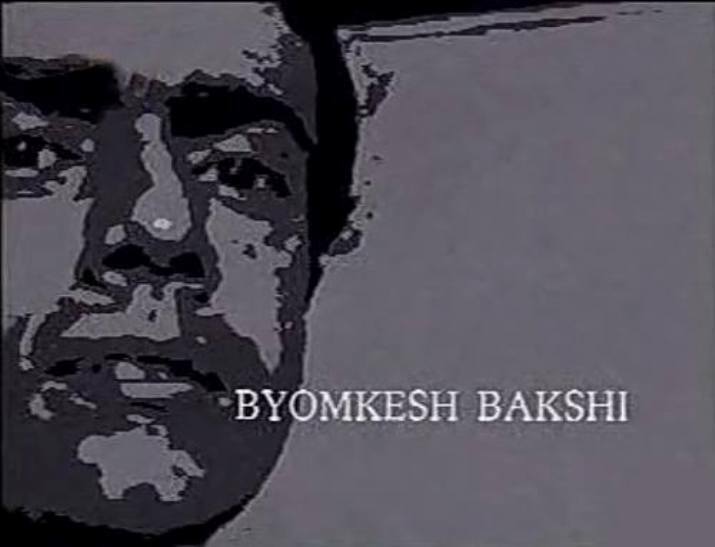 The yatra or journey commences on Dwitiya Tithi in the Shukla Paksha of Ashada month. On Friday, lakhs of devotees reached Jagannath Mandir or Srimandir, as the holy trinity of Gods gave their first glimpses after the 15 days healing ritual at the Puri Srimandir. 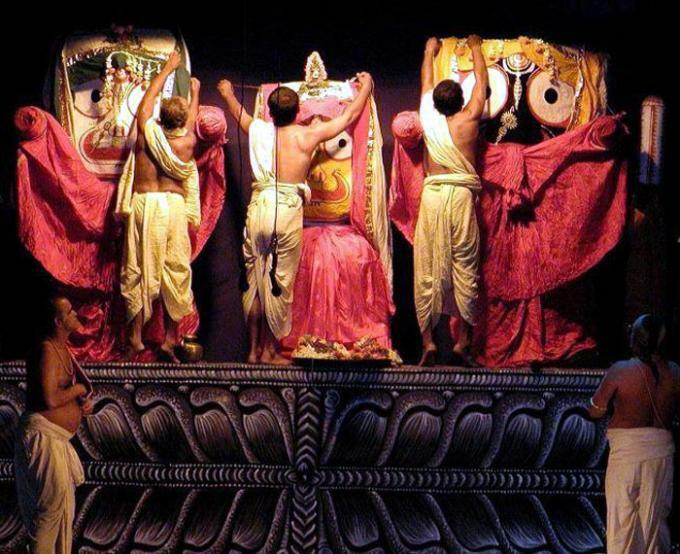 Meanwhile, the Jagannath temple management has made all arrangements for the smooth completion of the special ritual. Security has been beefed up in the holy town in view of the festivities. The holy Jagannath Puri Rath Yatra began on July 14 at 4:32 am and will end on 00:55 am on July 15, according to Drikpanchang. The significance of Lord Jagannath Rath Yatra? Lord Jagannath Ratha Yatra is a major Hindu festival that commences on Dwitiya Tithi during Shukla Paksha of Ashada month. Currently, it falls in the month of June or July in the Gregorian calendar. This year, temple city Puri will host its 141st annual Rath Yatra. Lord Jagannath is worshipped along with his brother Balabhadra and his sister Devi Subhadra. 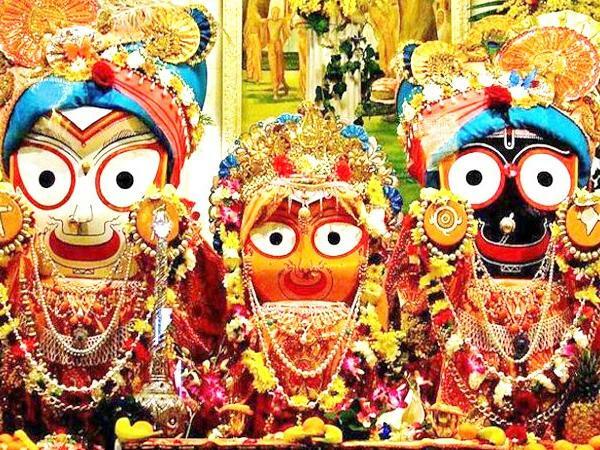 On this day, Lord Jagannath along with Lord Balabhadra and Goddess Subhadra leave their abode in Jagannath Temple for Gundicha Temple which is a monument built in the memory of Queen Gundicha, wife of King Indradyumna who built the world famous Puri temple. On the fourth day after Ratha Yatra, Hera Panchami is celebrated when Goddess Lakshmi visits Gundicha temple in search of Lord Jagannath. After taking rest in Gundicha Temple for 8 days, Lord Jagannath returns to his main abode. This day is known as Bahuda Yatra and is observed on the eighth day after Ratha Yatra on Dashami Tithi.